#6 3/4 remittance envelopes in 24lb. 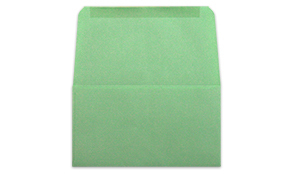 pastel green wove paper. The closure is a standard moisten to seal gum found on most envelopes.